Some problems need professional help to solve. Enter Pudel & Compagnie, international problem solvers for over 300 years. Methods unique, results guaranteed…usually. Mom and Dad Pudel retire, passing the business along to their offspring— Antonio, Belvidere and Callista. Can they solve a problem for the billionaire dowager, one of whose wayward wards is being blackmailed? But why haven’t they been hired to locate the missing Carlos, the man everyone loves and no one can find? Dogs, gangsters, Sheriffs, perverts, Valley Girls, crooked doctors, well trained hounds, and nut cases romp through the case in the oddest mash-up of characters this side of a circus. 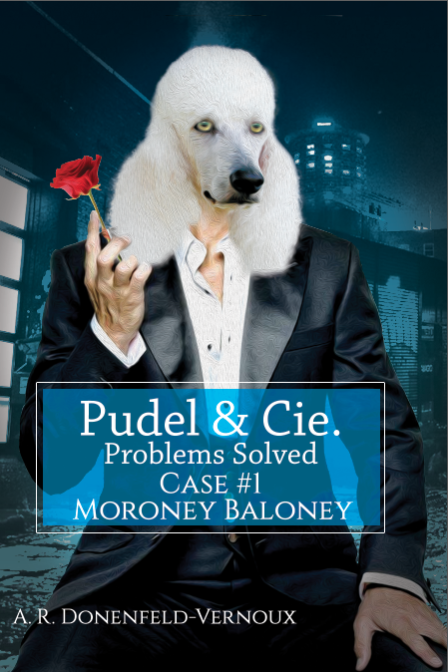 If you’re a dog lover, join the team of Pudel & Cie. as they paw over the evidence and sniff out the truth to solve the problem of ‘Moroney Baloney’. Want to know more? Here is how it all begins. Once upon a long time ago, at least three hundred years before the present time, there lived a man named Magnus Pudel. Magnus was the local wizard of a small village perched precariously on the side of a high peak on the French side of the Pyrenees, the Basque Country. A man way ahead of his time, Magnus experimented with chants, spells, chemicals, potions, mirrors, and all forms of magic. Since he wasn’t a farmer, shepherd, blacksmith or knight, in order to support his family he became expert at removing warts, birthing stubborn calves and babies, making love potions and getting rid of pesky spells cast by black magicians. Magnus only believed in white magic, as he called it. But in fact, he was a healer, knowledgeable in herbs and roots, natural medicines, setting broken bones, reducing fevers, and whatever he could possibly do to keep his patients healthy. The local priest was his uncle, and turned a blind eye when the Catholic Church frowned on the sort of skills Magnus was famous for. He knew Magnus was a man of good intentions and shouldn’t be punished for his kindness. The people from the neighboring farms and villages were sorely in need of his medical skills. But Magnus had a motive hidden behind his medicines, potions and spells. He was sure he could create a magic elixir to prolong life. It would bring him untold riches to help support his family. One night he had a dream. A deep voice spoke to him, saying, “Your name is the clue to what ye seek.” It seemed strange to him to believe ‘Pudel’ could be the key, but he was willing to try. Magnus read every book he could find that might mention the word or name ‘pudel.’ He finally found a reference to ‘pudelhunds,’ German hunting dogs with curly coats perfect for retrieving game from cold waters. Gathering up what little money he had, he made the long and dangerous journey across the Pyrenees and the breadth of France, all the way to Germany. After months of searching, he returned home with four healthy and playful pudelhund puppies. He raised the puppies into beautiful strong dogs, then bred them again and again, sometimes adding in other dogs he found with qualities he liked, such as strength, endurance, intelligence, and kindliness of disposition. The dogs were so funny and sweet, he couldn’t harm them, so he only took tiny samples of their blood and skin scrapings to use with his spells, elixirs and magic. His family fell in love with the good tempered animals. Then the villagers and farmers saw how smart the dogs were and wanted them too. Soon Magnus found he could support his family by selling the puppies. In a few years, he had many dogs, and a booming business. People were willing to travel miles to buy Magnus’ pudels. Still, he kept on his quest. After years of unsuccessful experimentation, he finally had a breakthrough. One of his concoctions actually worked, but not quite the way he expected. He drank some of his latest attempt, a truly foul smelling liquid, and said a chant in Basque to complete the spell. Auto bikoitza naiz, ispilu aldatzeko me nire beste auto bat. An odd feeling came over him—his legs changed. Something began growing in his back nether parts. His nose and mouth elongated together, his sense of smell became more acute, as curly hair grew on his bald pate. When he looked in the mirror, a very large grey muzzled poodle looked back at him, and wagged its tail. 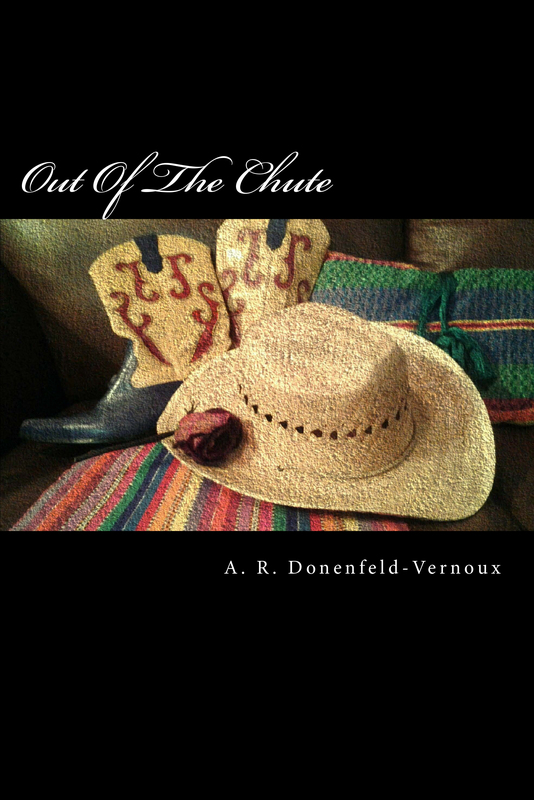 “Out of the Chute” How do you survive a name like Fancy Lady? She’s done it living a lifetime of success, a senior executive with associated perks, travel first class—restaurants five star. 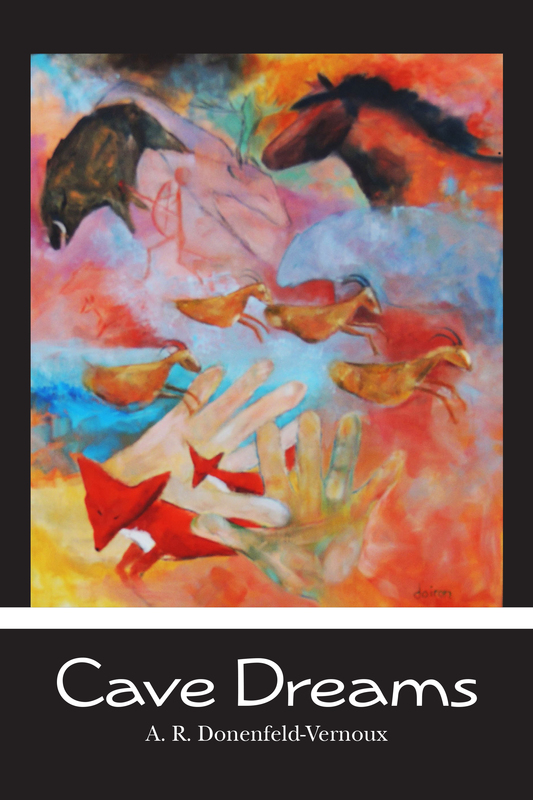 Constantly on the go with no time to understand life, she barreled to the top with blinders seeing only ‘up’. The perfect model of a modern day executive and businesswoman. Until she wasn’t.